Conditioner for powerful, velvety shimmering curls. 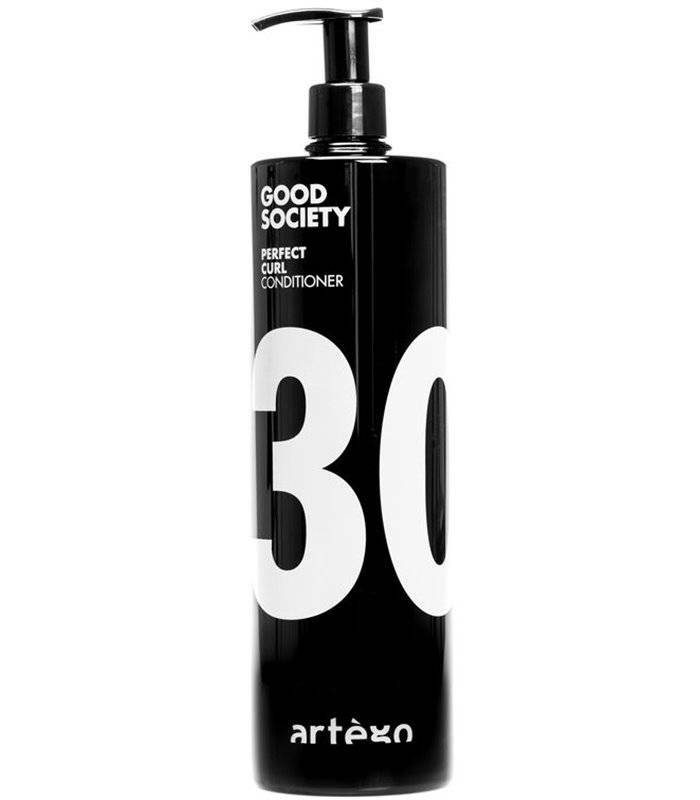 Enriched with guar gum, the Artego Good Society Perfect Curl 30 provides curly, velvety shimmering curls. The formulas with glycerin and chitosan give the hair valuable moisture and thus new elasticity curls remain long-lasting compact and defined. Spread a hazelnut-sized amount evenly in damp hair. Leave in for 1 - 3 minutes and then rinse thoroughly. Then style as usual.